Confession Time: I dread teaching research. Ugh...the research paper. I hated it in 8th grade when I had to do it, I was dismayed by it when I had to do it in graduate school, and I've yearly lamented on having to teach it. There's just something about the entity that is the formal research paper that has always seemed overwhelming to me as a student and now as a teacher. All 7th and 8th graders in my school participate in the annual science fair, and a formal, traditional research paper on a topic related to their experiment is a required part of entering the science fair. This is my least favorite unit because of the beast that is a formal research paper. After going through teaching research on this particular topic for the the first time last year, I knew I needed a better way. A better way to approach it, to teach it, to engage my students in the process, and definitely a better way to get a more interesting end result. 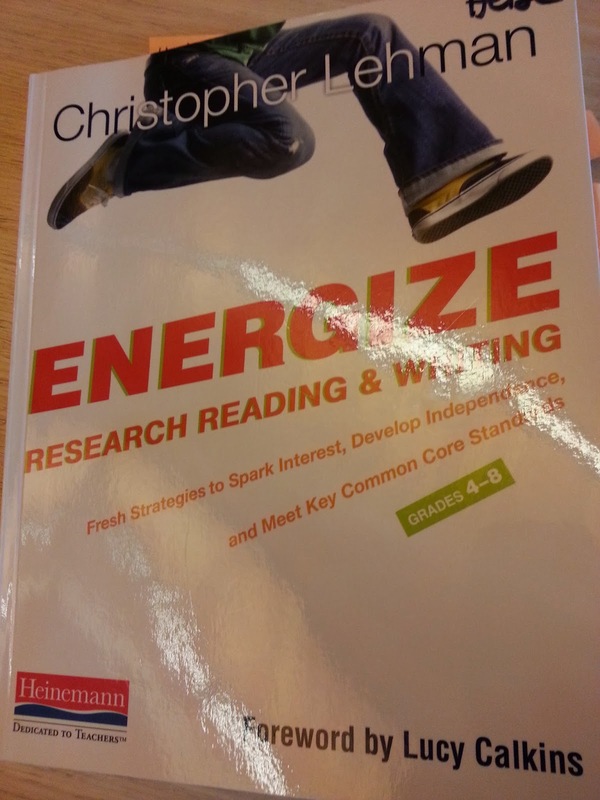 There's not much that can be done when the traditional, formal research paper essay is required, but thanks to Chris Lehman and his professional book, Energize Research Reading and Writing (Heinemann, 2012), which is 160 pages of logic and smartness, I have found so much more I can do to remedy the rest of the process of teaching research. If you teach research in any way, you're going to want to get this book. Having the notes from when I attended a workshop on this topic led by Chris over the summer, and opening his book as I sat down to begin planning out our big research unit, I began to feel hope. Hope that I could make it more interesting. Hope that I could make it more meaningful. Hope that I could make it more engaging. Hope that I could make it something that would be lasting and students would use again. Hope that I could make it something I would be interested in teaching. Hope that I could make it something my kids would be interested in learning. And hope that it would lead to final products I would actually be interested reading. Side-note: I've learned to use post-it notes for lesson topic in planning - it makes it much easier to readjust things as/when needed! Chris' book is laid out in such a teacher-friendly way. It's utterly useful and easy to follow and includes reasoning, chart examples, transcripts of teacher language to use in mini-lessons, unit planning, and so much more! It's the kind of book you can pick up, read, and try out in the classroom the very next day. So, thanks to this book, for the very first time in my nine years of teaching, I haven't hated or dreaded teaching research, but I've actually been looking forward to each new lesson to see how it would be received by my students through this new lens. A lens of thinking about research as Reading to Learn & Writing to Teach. A lens of realizing that it doesn't all have to be one set way, there's room for choice and inquiry in teaching research. That mantra and focus has gotten me into it this year and we've had several successful lessons so far, and I'm looking forward to reading what my students will come up with as they teach through their writing. 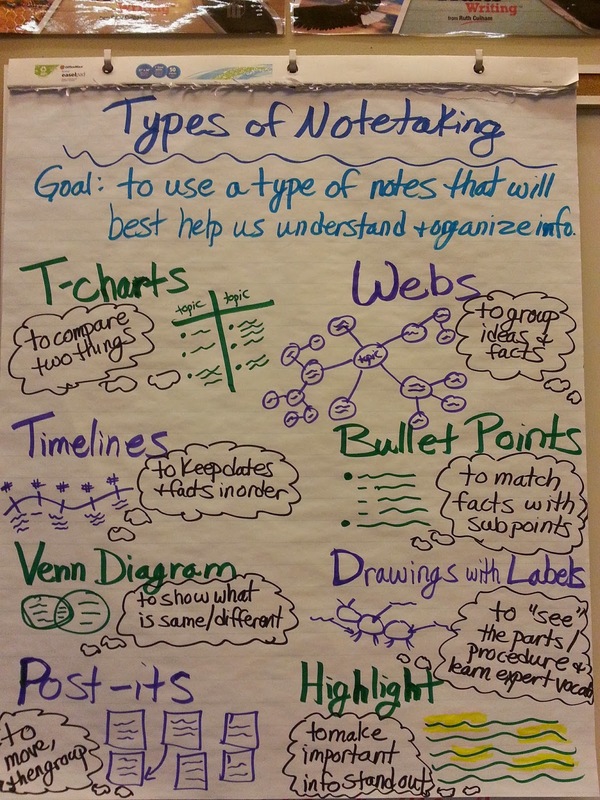 I no longer dictate what type of notes to take, the information and purpose does. 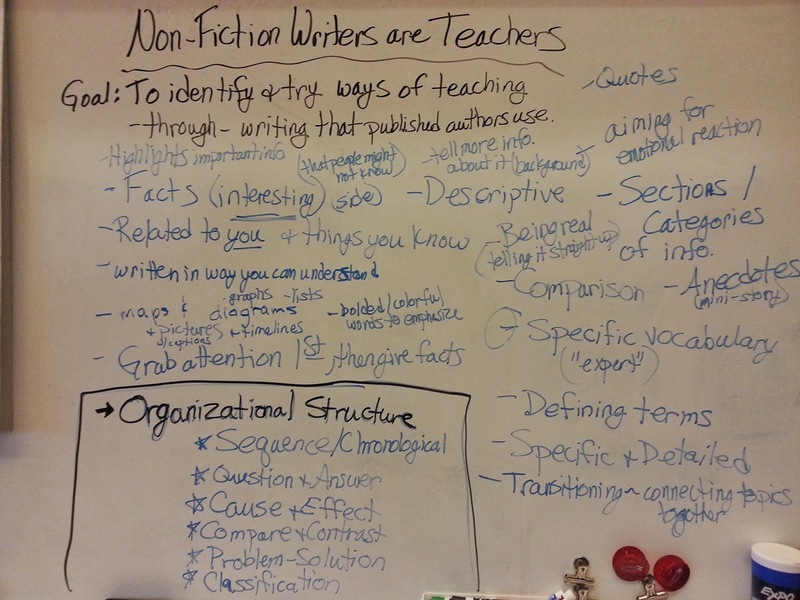 Our messy list of ways non-fiction authors teach through writing after looking at mentor texts, which naturally led into the ways non-fiction text can be organized/structured. This will eventually become a neater reference chart posted in the room as students start writing. So, if you teach research in any way (hello, CCSS! ), I highly recommend you get Chris Lehman's book, read it, and use it to guide your teaching. It's been a game-changer book for me and my teaching. I needed a place to play with my writing, keep it all together, model for my students, think through my ideas, and find them all easily when I need to refer back to them. It's a place for me to discover through writing what the important elements are for me. It's a place to share with others what happens in my classroom, and for me to push myself to be even better at what I do. It's a place for me to get into a habit and become more of a writer. 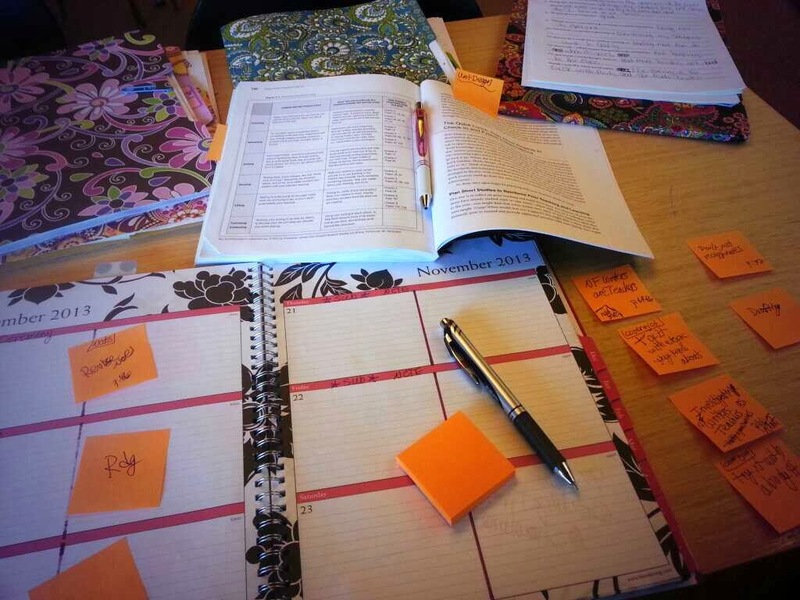 If I need to be a reader to teach reading, I must become more of a writer to be more effective at teaching writing. Jillian Heise, NBCT, is currently working toward her MLIS and is a K-5 Library Media Teacher in a diverse district in Southeastern Wisconsin. Through BALB Literacy Consulting: Building a Love of Books & Bringing a Literacy Balance, she consults with schools and districts to provide professional development in all areas of literacy instruction. Jillian taught 7th & 8th grade language arts in the Milwaukee area for eleven years to diverse groups of students. She is an enthusiastic advocate for students to have choice in what they read, while supporting teachers in using best practices in readers/writers workshop to engage and motivate all students. As the creator of #classroombookaday, Jillian promotes the goal of reading aloud a picture book every day of the school year to students of any age, inspired by Donalyn Miller's #bookaday. Jillian also brings her literacy expertise and passion for books to her role as Chair of the WSRA Children’s Literature Committee. You can find Jillian online at Heise Reads & Recommends and twitter @heisereads. All written content © 2015 Jillian Heise, All Rights Reserved. Awesome Inc. theme. Powered by Blogger.